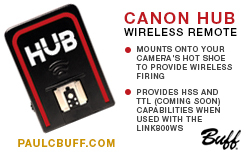 First previewed here last August, Annie Leibovitz: At Work is finally wrapped in those little brown Amazon fold-boxes and hitting doorsteps everywhere. I have just spent the afternoon with my copy, which I pre-ordered when it first became available. It is a departure from the previous picture books she has published, the main difference being much more back story to go along with the photos. Originally, I expected to get a more nuts-and-bolts, gear-and-technique type book. But instead the she spends the time on her experiences surrounding approximately two dozen different sittings and projects. Instead you are taken along with her on her shoots, almost as if she is sitting down after each one and talking with you about it over a cup of coffee. Much space is given to her approach, what she is thinking, problems to be solved, photographer-subject interaction and the like. But having read through Leibovitz's book, I find her openness and honesty about the process to be far more valuable to me than the lighting stuff. The cover may show her inside of a typically Leibovitz lighting setup, but the book is not about lighting. It is more to get you inside her head. If you are a fan of her work, you will find it very enjoyable -- and come away with a much better understanding of her motivations and how she works. If you are sick of her, this book will only make you more so. The book comprises her entire career to date. She revisits the early days at Rolling Stone, the American Express ad campaign, Vanity Fair, etc. She spends time on those multi-panel "big pictures" that did for VF, too. For those of you who are not near a Borders or some other big book store, I did a quick thumb through of the book simply to give an idea of the photos-to-text ratio. While not a picture book per se, it is very much a book about photography. And by that, I mean a look at everything that goes into Leibovitz's photography. You'll remember the YouTube video (since pulled) of her session with The Queen. Having seen footage from that shoot, it is very interesting to hear her talk about it, too. She devotes ten pages to that shoot, and includes each of the photos approved released from it. I was surprised to find that not one, but two of the Queen photos are composites. Also, I found it oddly gratifying to read how the whole thing seemed to be coming apart at the seams in Leibovitz's mind. Of course, she was still able to make four gorgeous historical portraits despite her internal panic. That tells me much more than the shoots with her Hollywood pals who will do damn near anything for her. I expect that this is a book I will read a few times at different levels, trying to glean what information I can that will help me with my own portraiture. She does spend a chapter on gear: Cameras, lighting, fans, music, etc. 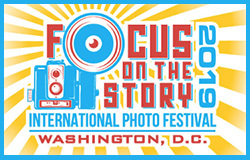 But that is not the focus if the book. What I am interested is learning more about the difference between the way I think and the way someone like Annie Leibovitz thinks. And for that, At Work foots the bill. If you have gotten a copy already, sound off in the comments. More voices, the better. Didja like it? Didja not? Why? Why not? 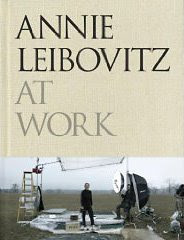 Annie Leibovitz: At Work is available at Amazon.com and, soon, at bookstores everywhere.